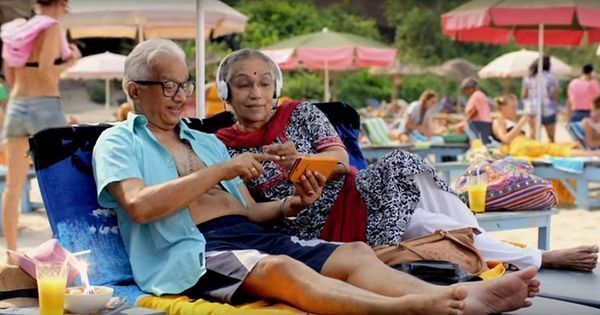 From ‘swadeshi soap’ to ‘Jaago re’: The theme of nation-building has been at the centre of the conglomerate’s advertising. On September 9, 1925, Jehangir Tata wrote a letter to his father Ratanji Dadabhoy Tata from the barracks in the south of France. The 21-year-old had come up with a way to help the family business. He wanted Pathé News, a famous newsreel maker of the time, to produce short films about current events in India to be shown in the country’s cinemas. Gandhi had made the trip to Jamshedpur to resolve labour disputes and ask that the Jamshedpur Labour Association be recognised by the company. Jehangir Tata had been informed that Gandhi’s preconceptions were shaken after he visited the factory and believed sharing the footage with the public would quell any similar distrust among them. In 1969, the year of Gandhi’s birth centenary, his Jamshedpur visit finally made it to promotional material. 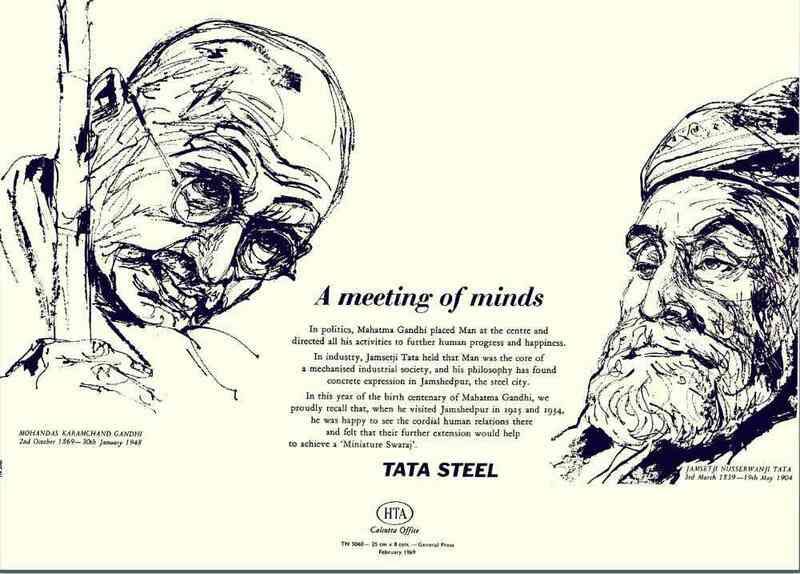 A Tata Steel advertisement from that time said, “…we proudly recall that, when [Gandhi] visited Jamshedpur in 1925 and 1934, he was happy to see the cordial relations there and felt their further extension would help to achieve a ‘Miniature Swaraj’”. Jehangir Tata, who would later be popularly known as JRD Tata, apologised to his father in case he was “talking rubbish”. “It is the best way to talk sense one day, isn’t it?” he wrote. The letter was but a small glimpse into events that would transpire in the future. JRD Tata took charge as chairman of the Tata group in 1938. During his 53-year tenure at the helm, it published numerous advertisements asserting its contribution to the country. 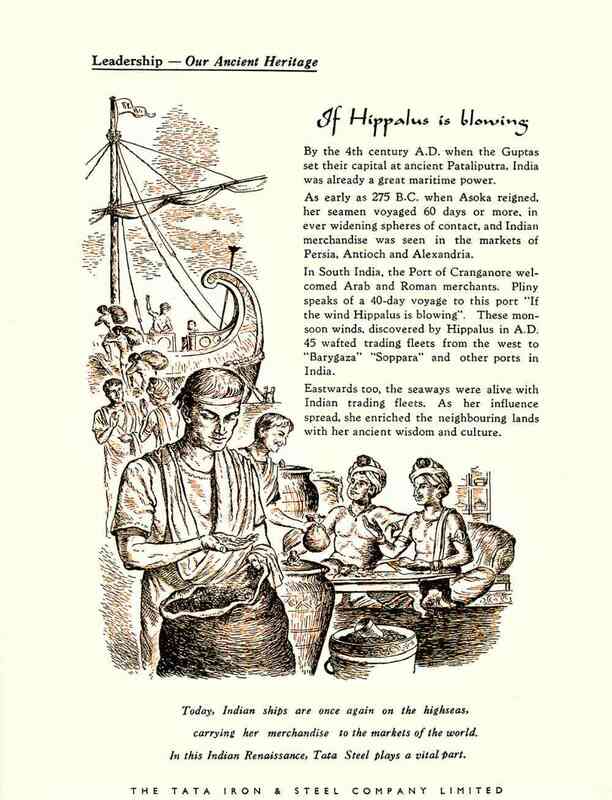 Long before its companies were asking consumers to “Jaago Re” or add a pinch of “Desh ka Namak” to their food, they were communicating – in a variety of ways – its alignment with India’s mission to be a self-sufficient and expanding economy with a high standard of living. Over 200 vintage ads of the conglomerate, from the early 20th century up to 1990, along with the letter that JRD Tata wrote to his father, are on display at the Tata Central Archives in Pune. And if there is one theme that runs right through them, it is nation-building. 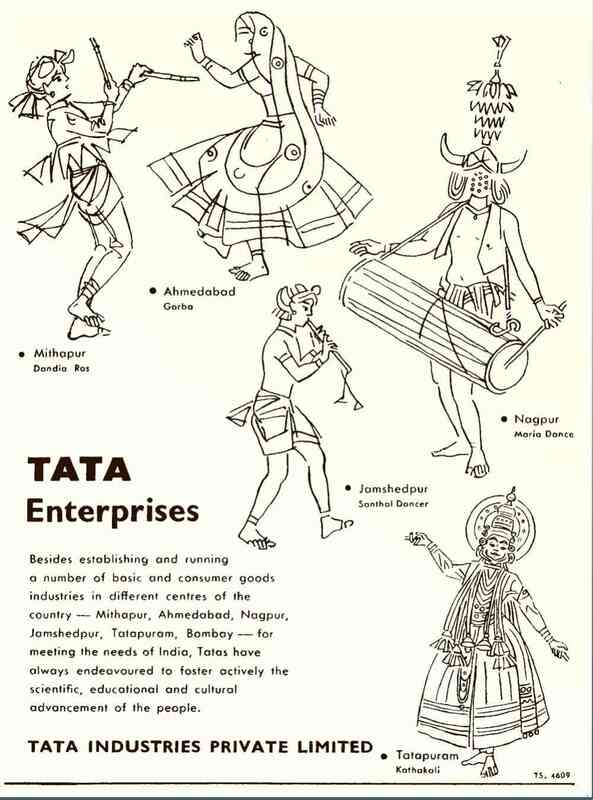 “The exhibition [Tata Vintage Advertising and Publicity] showcases not only the genesis and history of the Tata group, but also highlights in parallel the integral role that the group has played in India’s industrialisation and progress,” says the press release. The foundation of the Tata group was laid by Jamsetji Tata in the 1870s with a textile mill. The young Parsi had made a tidy profit of 4 million rupees sending supplies to the British troops in the Abyssinian war, and had held nationalist sympathies. After his death, Lord Curzon, the viceroy of India between 1898 and 1905, said that “no Indian of the present generation had done more for the commerce and industry of India”. The Tatas continued to be regarded by many as patriots after Independence. But the Indian leadership at the time also held strong socialist ideals, and both advertising and large private enterprises were viewed with suspicion. Early in 1968, JRD Tata, in a letter to World Bank adviser George Woods, wrote: “I am afraid that in spite of all the lessons of the past twenty years, there’s no real change in Delhi’s attitude toward ‘big business’, nor have our politicians and bureaucrats realised that what seems big business to them would be little more than peanuts elsewhere”. Against this backdrop, it’s clear from the advertisements that the company wanted to be seen as a force for good – one that wasn’t focused on accumulating wealth and power for its owners and shareholders, but devoted to improving the country. Veteran adman Roger Pereira, whose early assignments involved working on Tata advertisements at J Walter Thompson in the 1960s, mentions a time when advertising helped the company navigate political hurdles. In 1977, George Fernandes, the industry minister at the time, wanted to nationalise Tata Steel. In response, the company ran a campaign that detailed its philanthropic work and added, almost in passing – “we also make steel”. 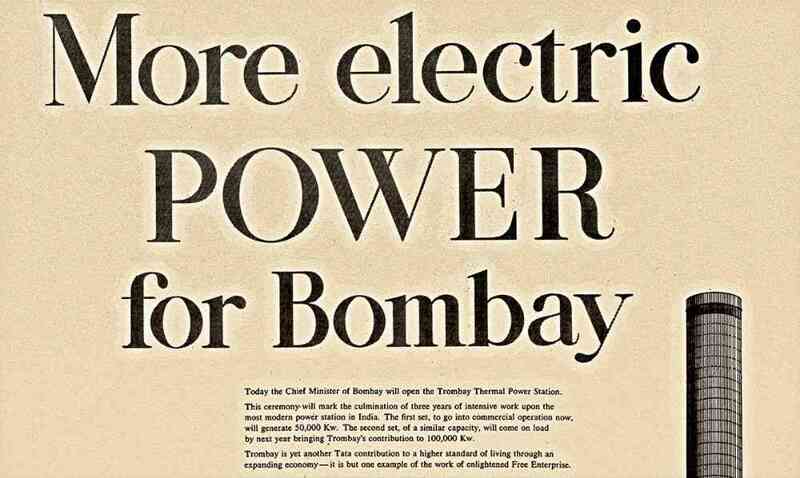 An advertisement announcing the opening of the Trombay Power Thermal Station in 1956 said it was “yet another Tata contribution to a higher standard of living through an expanding economy” and an “example of the work of enlightened Free Enterprise”. 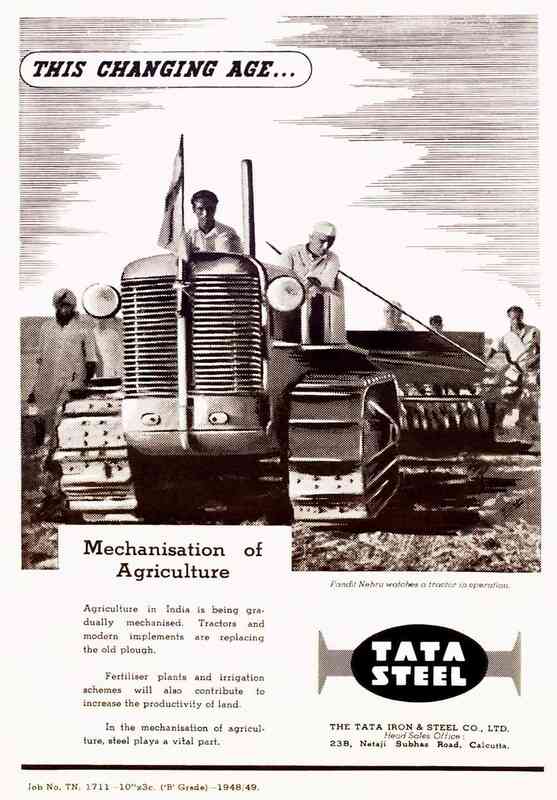 Earlier in 1949, Tata made the connection between steel and agriculture in an advertisement that talked of the mechanisation of agriculture. It had a photograph of Nehru watching a tractor in operation. 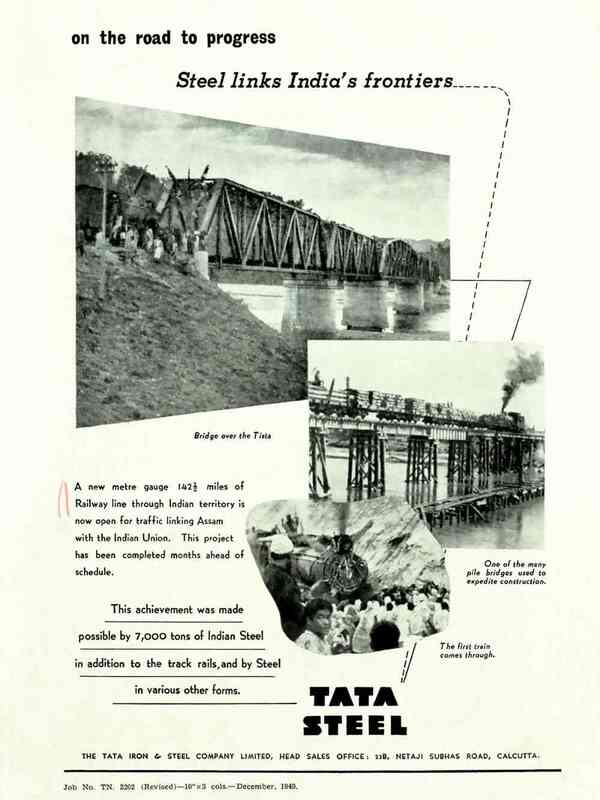 That same year, the company ran an ad that said, “Steel links India’s Frontiers”, and described how 7,000 tonnes of steel were used in the newly-laid railway line connecting Assam to the rest of the Indian Union. 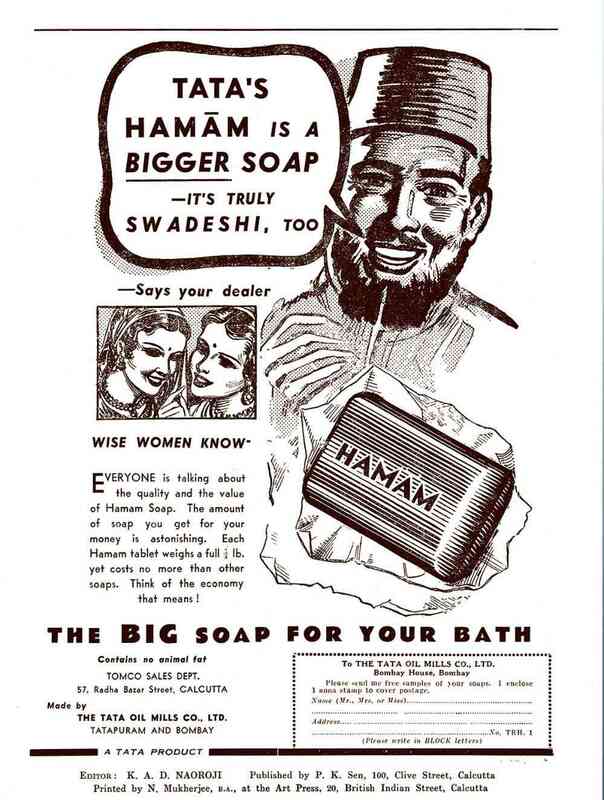 Indian companies at the time strove to distinguish themselves from multinationals by emphasising their swadeshi credentials, and Tata was no exception with its Hamam soap – “Tata’s Hamam is a bigger soap – it’s truly swadeshi, too” read one advertisement. Another reminded consumers that Jamsetji Tata had set up the Swadeshi Mills Co. Ltd in 1886, twenty years before the swadeshi movement gained prominence. According to Chaudhuri, another reason why advertisements tended to focus on the country and its progress before liberalisation may have simply been a lack of creative output from agencies. Since demand for goods was greater than supply in most industries, companies didn’t need bigger markets and didn’t care all that much about the content in ads. They were bought to keep newspapers – an important tool for public relations – happy. 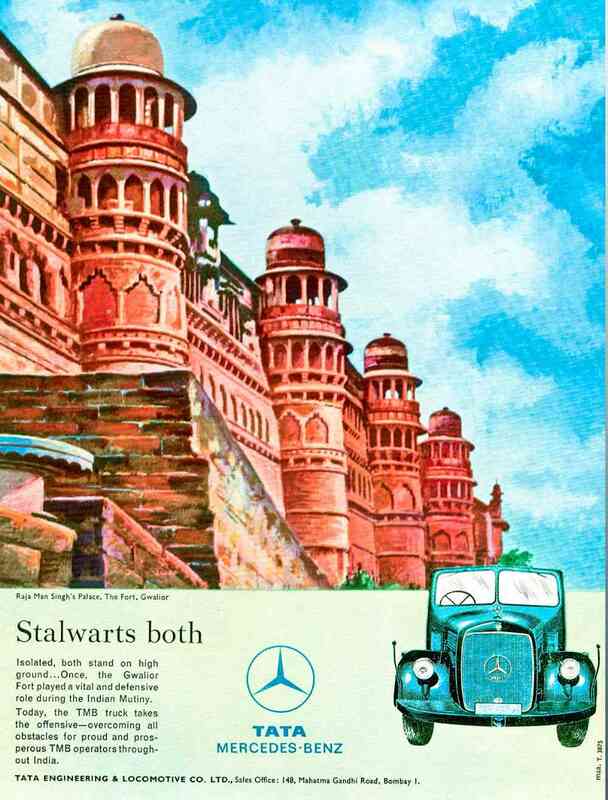 Also in short supply were Tata Mercedes Benz trucks, which were “speeding prosperity to the countryside”, according to an advertisement from August 1960. The truck was compared with the Gwalior Fort that played a role during the Indian Mutiny (“Stalwarts Both”) and the India Gate (“Gateways to Prosperity”). The messaging was clear: Tata wasn’t just driving India to a brighter future; it was also taking her back to her illustrious past. 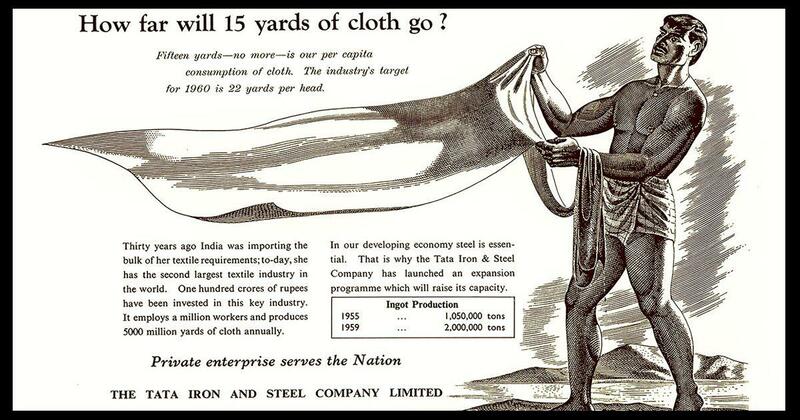 An ad for Tata Exports Limited, talks about “reviving the age-old glory of Indian exports”. 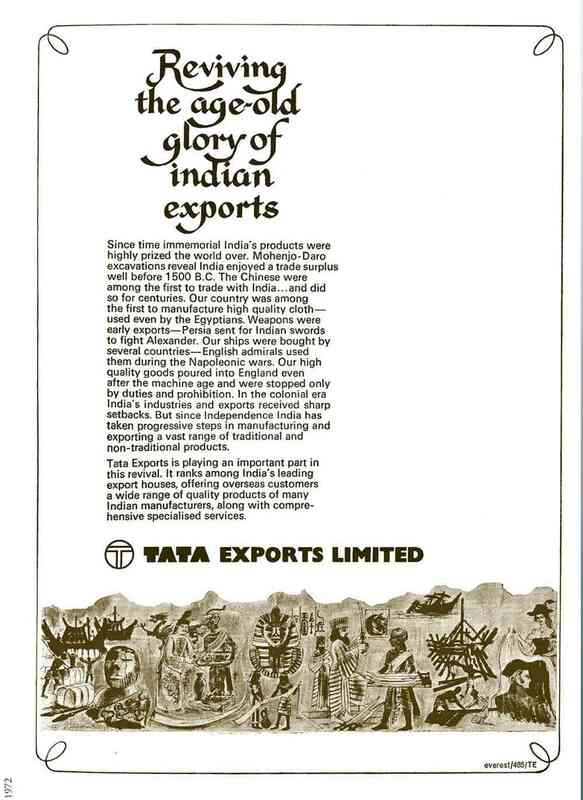 Other Tata Iron and Steel Company ads advertisements refer to “implements of steel used by master craftsmen of ancient India”, “exquisite swords of Indian steel” used in the past and admired by outsiders and Indian ships being “once again on the high seas”. If this rhetoric sounds familiar today, it is because it is used by politicians to invoke a sense of nationalist pride. But for the Tatas, that was not the only motivation. Even today, according to a recent survey, Tata Motors, a company that was founded 73 years ago, is viewed by Indians as the second-most patriotic brand in the country. Tata Vintage Advertising and Publicity is on display at the Tata Central Archives in Pune until December. All photos courtesy the Tata Central Archives.